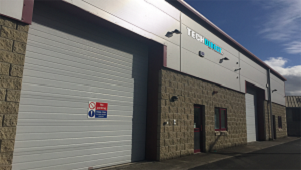 Our warehouse and logistics facility is located in the Enterprise Business Park in Carlow , Ireland. This location gives us the ability to ship to any location in Ireland. We offer secure payment methods including PayPal & Credit / Debit Cards. Our Card payment service is provided by Realex and offers 100% security . We are Fully PCI complient and have been audited. Bank Transfer payments are also accepted. Our staff are here to help deal with any issue which might arise. Our staff are available business hours Monday to Friday and are situtated in our Carlow facility . After hours support is available using the contact details on our main contact page. We have over 25,000 productslisted on our website. We keep the a core of 500 products in stock in Ireland for fast delivery with most other items available for delivery within 48 hours. Next Day Delivery is Available on certain products as listed on our website. We carry over 500 of the mosr popular items in stock for fast delivery with the rest of our products available to ship from a central warehouse in the United Kingdom . Our UK stock ships to Ireland each evening week days to fulfill orders placed each day. We can also offer next day delivery on certain UK stock items. We delivery all component and accessory orders in Ireland within 2-4 Business Days for all orders placed before 3PM Each Business Day. Our payment gateway is 100% Secure and provided by Realex with our Merchant processor being Elavon Ireland. If you need any help please contact sales@techdirect.ie . We also accept PayPal payments from home & business customers. We offer deferred payment accounts for Government , Corporate & Education customers . For details please email sales@techdirect.ie before placing your order . Accounts are only available to Republic of Ireland registered customers. Credir services are provided by our factoring partners and decision to offer accounts will be based on their acceptance. Our staff are located within our facility in Carlow , Ireland which means you have access to their support by telephone or email. They have local knowledge of the Irish IT market and can therefore make decisions based on their lcoal experiences. If you need help of assistance please contact our staff by visiting the contact page on our website . Our sales & support staff are available weekdays from 9.30AM to 5.00PM with after hours support available by email . Telephone sales and Support is not available weekends or bank holidays. www.CUSTOMPCPARTS.ie is a website owned and operated by Custom Computers & Technologies Ireland Limited . We are owned by the same company as the award winning website www.CUSTOMPC.ie . We have setup www.CUSTOMPCPARTS.ie to offer our customers in Ireland better access to the full range of laptops , notebooks and tablets pcs from the worlds leading manufacturers . Our partnerships with some of the largest distributors in Europe as well as our relationships with many manufacturers means we can offer the best prices across many categories . Our goal is to offer the best prices along with the fastest and most reliable delivery .